Do you need to recover deleted pictures from your camera, phone, or computer etc? … If you do the right things! To ensure the greatest chance of success when trying to recover deleted photos, don’t do anything from now on that might cause new files and data to be written to the device (camera, phone, PC etc) that you deleted the pictures from. The reason for this, is that when you delete pictures (or almost any file for that matter) the data itself isn’t usually erased. All that is deleted is the bit of information that says where the rest of the image’s data is stored on the memory card, or computer disk etc etc. 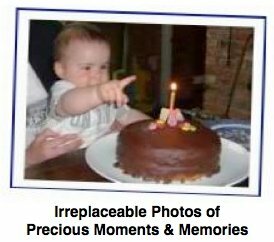 And that image data will stay there and means the picture can still be recovered, unless something new gets written over the top of it. same memory card for example! Likewise, if the pictures were on your computer, try and avoid doing anything that will cause new files to get saved to the same disk. So don’t open, use or close any applications – and minimize your web-surfing – all of which cause disk activity. …is download some good photo recovery software. The longer you leave it, the more chance there is that you will save something to the card or computer that will overwrite the image data and result in your photos being lost forever! The sooner you act, the more chance there is that you will be able to recover your deleted photos successfully!! The quickest and easiest way to recover pictures that have been deleted from either a PC or camera memory card is to use a good quality photo recovery software package. There are lots of products available, but not many do such a consistently good job of recovering pictures as Recover My Photos. It’s not expensive! (and you can use it again in the future if it happens again!) so you can be extremely confident that they can be recovered. Stop! Don’t take any more photos with the camera to see if ‘that might fix it’! Likewise, if the images are on your computer, stop doing anything else on it and focus on recovering your deleted pictures. 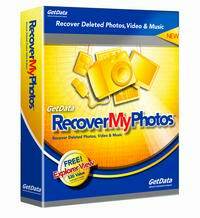 1 – Click here to Download and install Recover My Photos on your PC. 2 – Connect your camera to the PC, or put the camera card into the computer’s card reader (This step does not apply if the deleted photos are on the PC itself of course). 3 – Run the Recover My Photos software and scan the camera, card or disk concerned for deleted photos. In the preview screen, you will be able to see thumbnail versions of the deleted pictures that can be recovered. 4 – You’ll then need to click here to buy the full version of Recover My Photos to save the recovered files to a new location and complete the recovery process. overwritten and you wont be able to recover them. So don’t delay – start recovering your deleted pictures now!. We hope you’re able to recover your deleted photos successfully.